I've got Apple Keynote v8.2 presentation project having .key extension. This presentation contains 5 videos with 4 identical transitions between them. The name of transition is Clothesline. Is it possible to use and play .key file format programmatically using Swift? 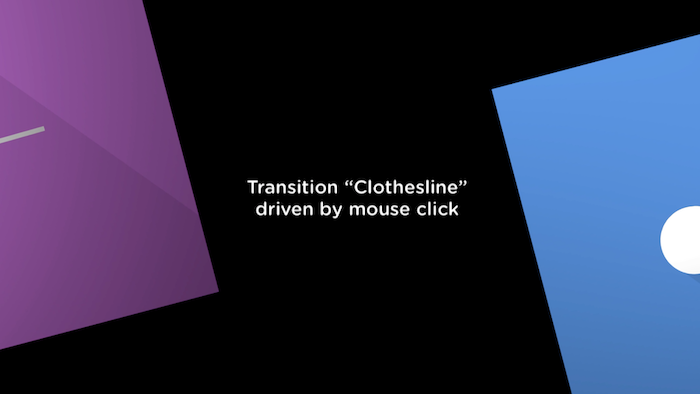 If the first question is true, is it possible to start Clothesline transition using keyboard, not a mouse click? macOS 10.14 Mojave, Apple Keynote v8.2, Xcode v10, Swift v4.2. After some investigation it's turned out that at the moment there's no API for working with Apple Keynote presentations and .key file format. There's only ImageKit module that provides user interface support for browsing, editing, and saving images as well as showing slideshows. ImageKit is a part of Quartz framework. Not the answer you're looking for? Browse other questions tagged swift macos quartz-graphics avkit keynote or ask your own question. Where is JAVA_HOME on macOS Mojave (10.14) to Lion (10.7)? How to create USDZ file using Xcode 10 converter?